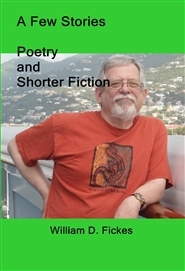 The author states: "Here are some of the poems, stories and nonsense that I've fiddled around with for a number of years. I kinda like most of them, some more than others of course. They were created, off and on, over the past four decades and hopefully show some of my progress in putting words on paper more ably. 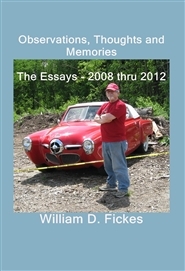 I hope you enjoy reading them as much as I've enjoyed writing them." From yummy chocolate chip cookies to mouth-watering savory main dishes, here's the one cookbook you've been waiting for! 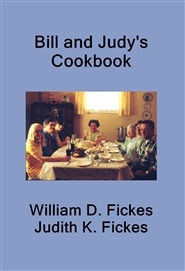 Many of the recipes are family favorites from the 50's right up to today. Try an old-fashioned chocolate cake recipe from the mid-50's or maybe a calorie-counting stir-fry from just last year. You won't go wrong making any of these gems! The author states, "These are some of the thoughts and memories that I wanted to get down in writing. Why? To help me remember, to share with my son some of his old man's past and to document my feelings from time to time. Oh, and because I happen to like seeing my words in print!" "A tour de force" - the author's cousin. "Pretty cool" - various friends. "Good stuff" - the author's wife. "What?" - the author's son. "You have the right to remain silent" - a cop last Thursday. "Got a quarter?" - a bum. "When's the next one come out?" - his innumerable fans.